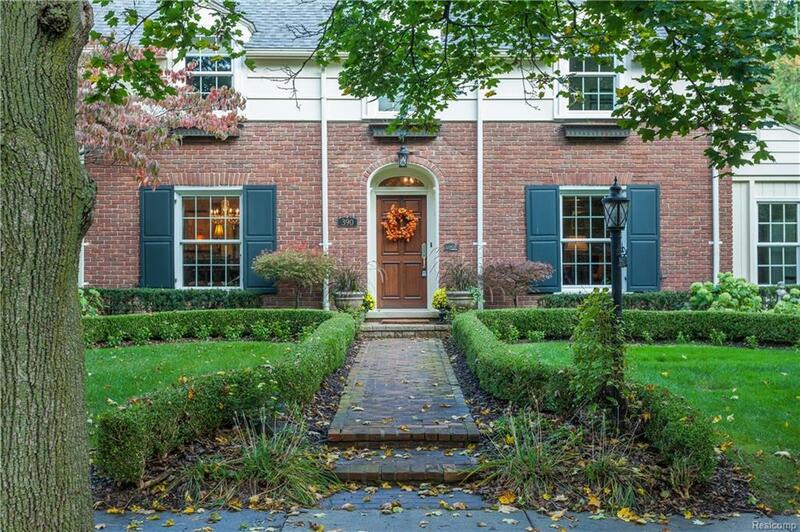 Idyllic Bloomfield Village home is beautiful inside & out. 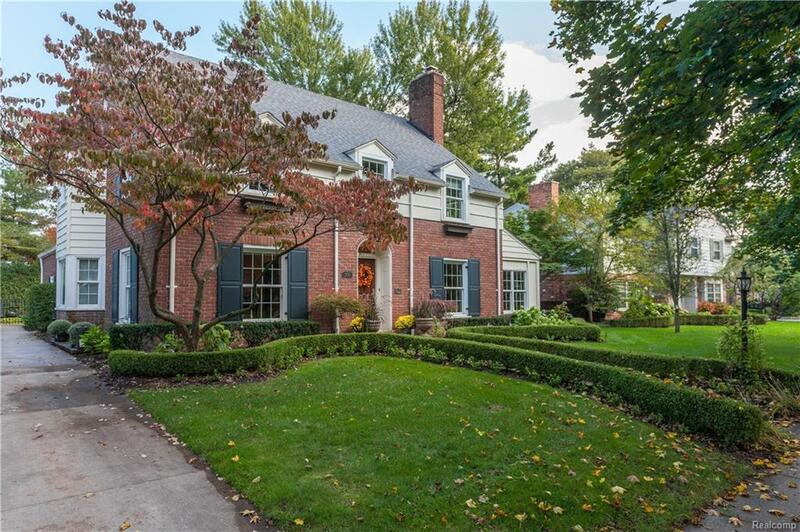 Tremendous curb appeal features a front brick-paved walk-way surrounded by meticulously manicured landscape. 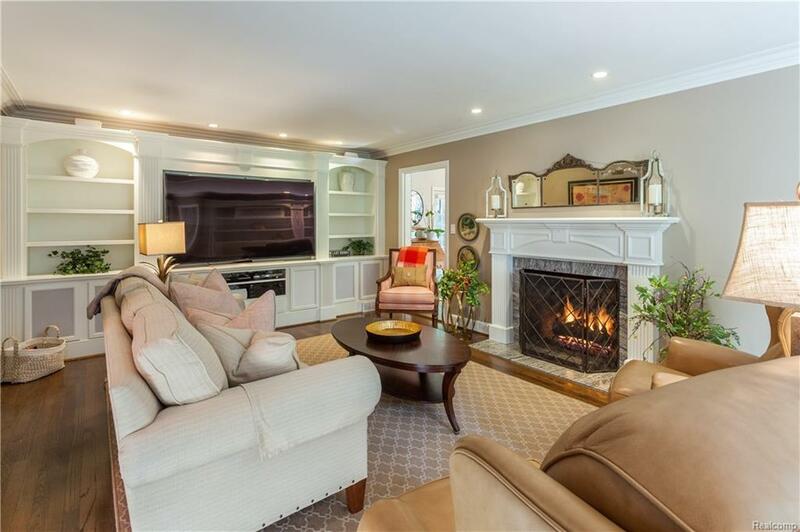 Phenomenal updates seamlessly blend the charm of the 30's with today's expected amenities. Beautiful wood floors throughout. Welcoming entry vestibule opens to the gracious foyer flanked by the formal Dining Room & Family Room. 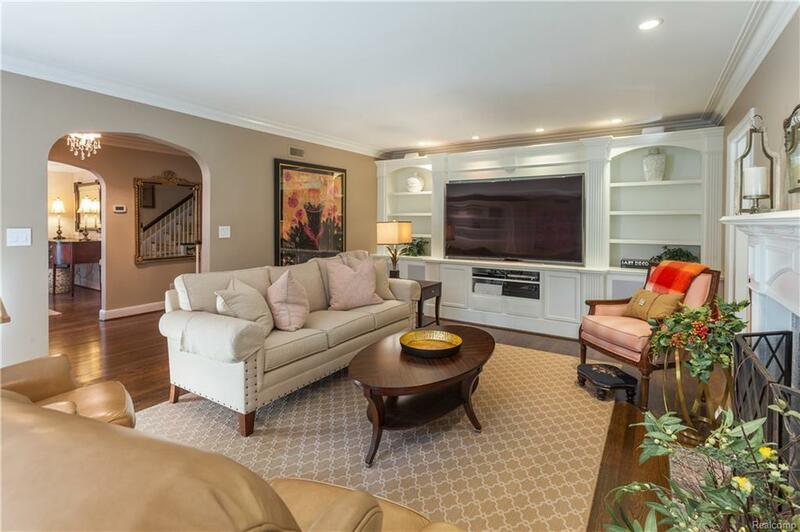 The Family Room features walls of clean, built-in cabinetry, a stately, mantled fireplace & adjacent all-seasons Sun Room. Stunning, white kitchen with granite counters, premium cabinetry, professional appliances, and bayed breakfast nook. Dream Master suite has phenomenal bath with jetted tub, dual sinks, euro-shower & an over sized walk-in closet. 3 additional bedrooms & 2 full baths located on the 2nd level. Front and back staircases. Partially finished basement with Rec Room. Electronic gated drive. Lush site features privacy fence & hedge with mature landscape & blue stone patio.